It seems that the audio content is taking more and more place in the tech and social industry, alongside the video. We don’t know for sure when will it dethrone the most powerful content type at the moment – video that is – but we know for sure that it is slowly conquering people all over the world. Truth be told it is easier and sometimes safer to listen to a podcast instead of watching a video. Take for example driving or cooking. You could get hurt if you don’t pay attention to what you’re doing, so why risking? It seems that Facebook is embracing this new trend and it is launching its own podcast. 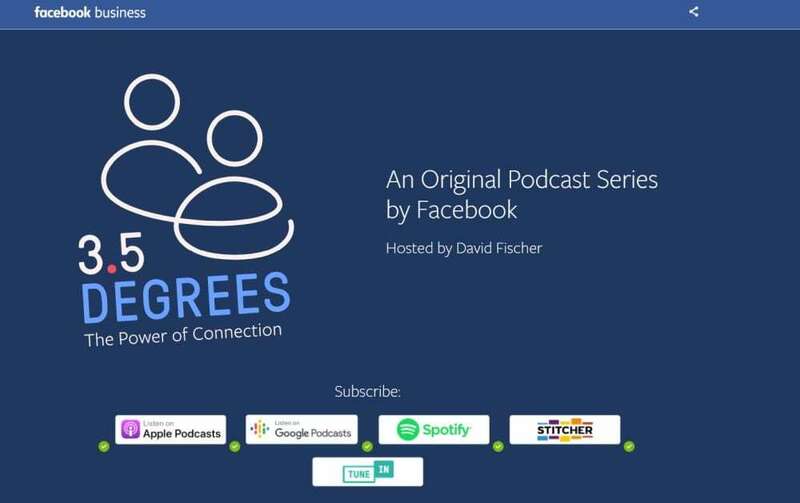 Called “Three and a Half Degrees: The Power of Connection“, the podcast’s host is Davis Fischer, Facebook’s VP of marketing and partnerships. 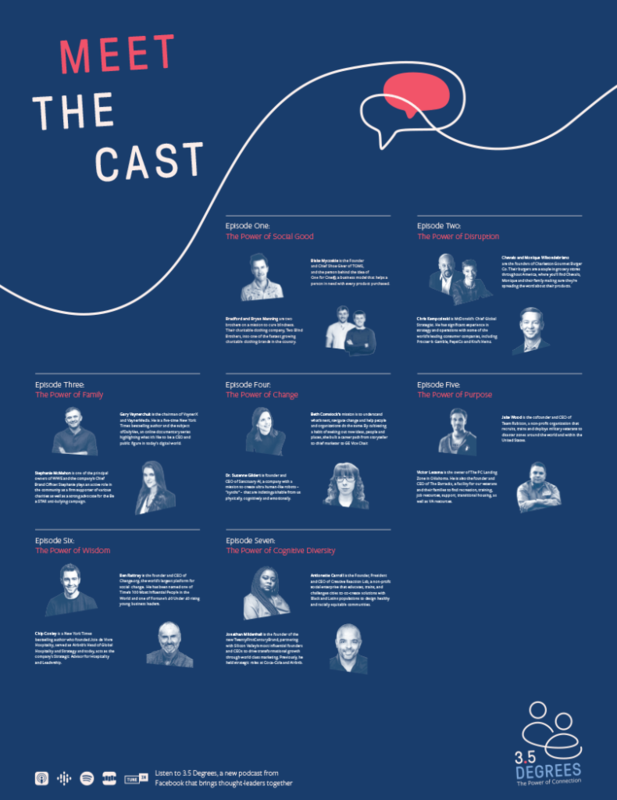 The guests will be from different industries and have different positions within the companies they work for or have founded, in order to find out different opinions and views on the business world. The podcast name has been inspired by what we used to know Six degrees of separation. But Facebook representatives believe that technology has changed the way people interact and the six degrees of separation have turned into three and a half. The first episode brought together Bradford and Bryan Manning from Two Blind Brothers & Blake Mycoskie from TOMS. The two brothers have been inspired by Blake Mycoskie in their business model and they talked about big and small steps they had to take to become a successful business model. You can listen to the podcast on the following platforms: Apple Podcasts/ Google Podcasts/ Spotify/ Stitcher/ TuneIN. Are you going to listen to this Facebook Podcast? Which episode is the most appealing for you?